Curtains4me - Bespoke curtains & blinds. Suppliers of premium fabrics, tracks, poles and blinds. Hand crafted made to measure in West Sussex and Surrounding Areas. We are a small local company that creates bespoke curtains & blinds made-to-measure in West Sussex and surrounding areas. We also make a wide range of soft furnishings including bedspread, cushions and bench seating to compliment your bespoke curtains or blinds. We have been making curtains and blinds and fitting tracks for over 20 years. We only use the highest quality components, many of which you can not purchase on the high street. "We are delighted with all your hard work and the house looks so much better with your beautiful curtains and blinds"
"Thank you so much for the lovely job you have made of the curtains and Blinds!" "Really impressed, the curtains are a triumph!!" We can supply samples of all fabrics are they are available to purchase online in our store. 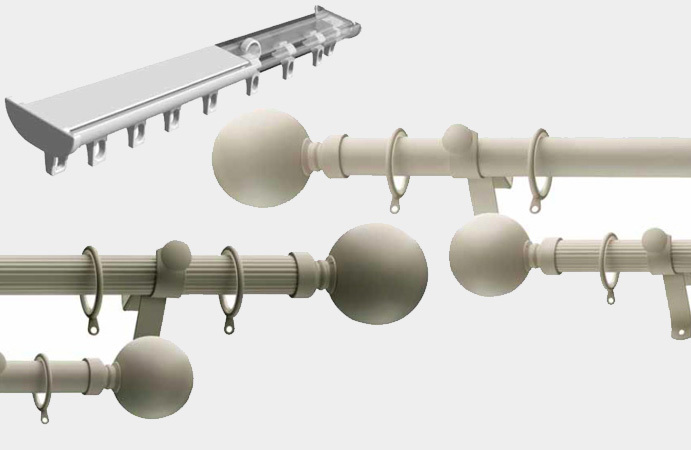 We sell premium tracks and poles that are not available on the high street, at trade prices. 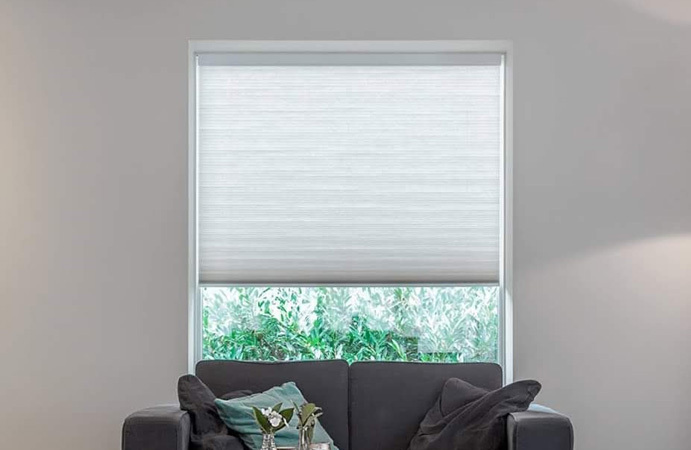 These blinds allow you to combine style with a whole list of beneficial properties. Our contemporary designs can complement existing furnishing and have the ability to knit together styles from different decades of interior design. We respect your privacy. We promise not to give your contact details to anyone else. By signing up you are providing consent for us to send you emails. You can unsubscribe from these emails at anytime. Thank you for subscribing to updates on new products. You can unsubscribe at anytime, by contacting us, or clicking on the un-subscribe link on the emails you are sent. We hope you enjoy our updates.